The Blues’ attack has consistently been ripping opposition defences to shreds since the turn of the year. A FEW EYEBROWS were raised when Leinster named their team to take on the Dragons last week. They needn’t have been. Joey Carbery at fullback and Zane Kirchner at centre were two selections which stood out and suggested that Leo Cullen’s side may not be at their free-flowing best at Rodney Parade. Yet the Blues produced one of their most devastating attacking performances of the season in a 55-24 demolition job on the road, quite a statement from a side that contained a number of new combinations and one that was shorn of its international stars. The versatility of Leinster’s backline is slowly reinforcing the province’s arsenal for all sorts of eventualities, and strengthening their hand to win back the Pro12 title. There was a time when Isa Nacewa was the primary Mr Polyfilla at the RDS but young guns Rory O’Loughlin, Adam Byrne and Carbery, and the more experienced pair of Zane Kirchner and Fergus McFadden, give Cullen a delightful array of options out back. 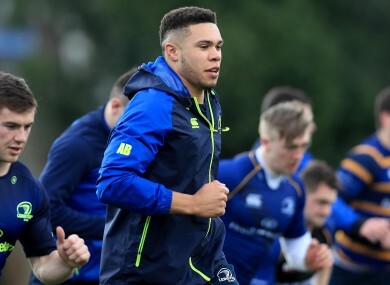 The chopping and changing is working a treat as Leinster’s league-leading attack is operating in a different realm of destruction to last season. In their last seven games (five in the Pro12 and two in the Champions Cup), dating back to a 22-7 New Year’s Eve defeat of Ulster, Leinster have amassed 326 points and 44 tries. That’s an average of almost 50 points and six tries per game in an incredible spell that has seen Cullen’s charges return to the top of the Pro12 table and secure a home quarter-final in the Champions Cup. They seem to be streets ahead of their last Pro12 campaign, when they eventually went down to Connacht in the decider, their total of 69 tries in 16 games this season is 18 more than they managed in 22 regular-season games in 2015/16. They have been conceding four points more on average per game (17) but the way they’ve been attacking, averaging 10 points more per outing, backs coach Girvan Dempsey can’t help but smile, especially on the back of a five-game Pro12 winning streak since their defeat to Munster on St Stephen’s Day. “The guys are going really well, they’ve worked so hard,” says Dempsey. “This was a block that we targeted, one we realised that we had to do well in if we wanted to be competitive and try and get in that top two, and compete with Munster and the Ospreys, and obviously the Scarlets coming up behind. “We’re fortunate that we’ve got some very smart footballers that can adapt and change and move around. “The way we train, we try and put pressure on them and try and make them adapt and develop in different areas. “Looking at last week’s selection, what we were looking at was the players we had available. Ireland fly-half Carbery impressed at fullback in what was just his second start following his return from an ankle injury. While the New Zealand native ran riot from deep, Dempsey doesn’t see Carbery’s future in the No 15 shirt. “I was very impressed,” Dempsey says of the 21-year-old’s performance. “I thought he slotted in really well. He’s played at fullback before but he hasn’t had a huge amount of experience there and I thought he adapted really well. “I thought he looked comfortable on the ball, on the counter-attack. I thought he looked assured under the high ball. “Positionally there are a few little things that we are working on with him but overall, to come back and slot in there I thought he did really well. For a try-hungry winger like Adam Byrne, it doesn’t get much better than this — a licence to attack, to put defences on edge, which generates opportunities aplenty for the wide men to get over the whitewash. “To be honest I just love playing with the team. Every time we go out we have a mindset to go out and attack teams and score tries,” explains Byrne ahead of Saturday’s tie against the in-form Scarlets at the RDS [KO 19.35, TG4]. “We train in Leinster for a lot of different scenarios. We’re kind of ready for any scenario. “Joey’s electric at fullback, you know he’s going to make a break at some stage so I enjoyed playing with him at fullback. “Zane at 13 as well was a nice change-up, I think the backline has been working really well this season. A previous version of this article incorrectly stated Leinster’s seven-game scoring average was more than 60 points per game. Email “'The way we train, we try and put pressure on them to adapt' - Dempsey on blistering Leinster backline”. Feedback on “'The way we train, we try and put pressure on them to adapt' - Dempsey on blistering Leinster backline”.